In the Spring, when the weather turns warm, many will go out foraging, especially for wild mushrooms. Wild mushrooms are an exciting edible to search for as they can be on the rare side. As a result, foraging for mushrooms becomes a race. A race to see who will get that prize first. Wild mushrooms can be easy to find, or they can hide well, depending on the area. When we go out mushroom hunting, it’s not uncommon in our area to come up empty handed. Especially when we hunt morels. It’s a widely loved mushroom in Indiana, and most mushroom hunters love hunting for them. We love to go where the wild mushrooms grow. It’s a place of peace, solitude, and relaxation. Many different mushroom species can be hunted for while enjoying the outdoors. The best time to go hunting for many species is after heavy rains, as they will grow rapidly when it’s wet out. One of my favorite wild mushrooms to look for is the pheasant back mushroom. Pheasant back mushrooms are a wild edible with great flavor that appear in the Spring. 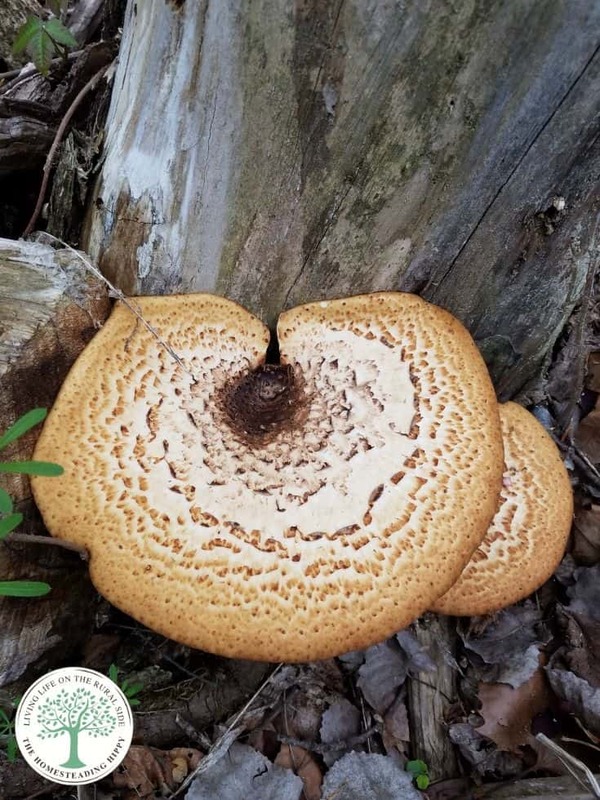 Also called Dryad’s Saddle, (Polyporus squamosus), pheasant back mushrooms are found in a broad, circular shape, and can be found all Spring and even during the Summer in some places. They are completely edible, and have a meaty, full flavor. Dryad’s Saddle, AKA Pheasant back mushrooms can almost look like kidneys or even a heart. They are usually found on elm, but any deadwood can grow them. The markings will look almost like a pheasant’s feathered back. They are most tender and palatable while young and small, but even the older, larger ones are edible. Tubes- The tubes are between 1 and 12 mm long. Stalk-The stalk is thick and short, up to 5 cm (2.0 in) long. 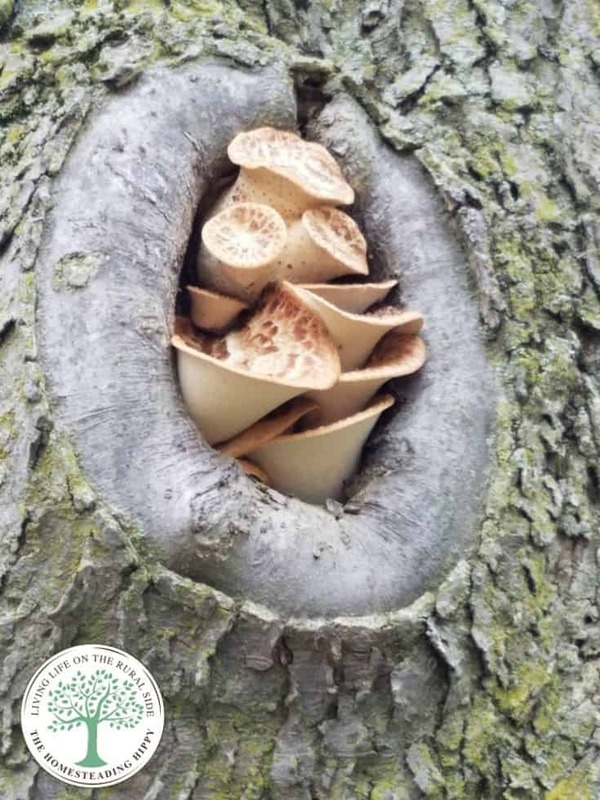 While most often found on logs laying on the ground, you CAN find these edible wild mushrooms in living trees that are still upright. While they can be found alone, they can appear in multiples, “piggybacking” each other. As always, be sure to double check your field guides to assist you with proper identification. There are plenty of poisonous mushrooms out there, and you don’t really want to make a mistake with this. When you harvest these mushrooms, the stalk can be difficult to break off. Use a sharp field knife to gently slice through it to make it easier. Remember to take your mushrooms home in a cloth mesh bag, over plastic or even paper bags to allow the spores to continue to spread. To see how to go foraging for mushrooms safely, read more on spore prints here. Once you have gotten them home, they are best eaten within 12 hours. For a great dryad’s saddle recipe, simply wash them gently to remove dirt and debris. Remove the stalk from the cap and save for broth. Slice in 1/2″ thick slices and pan fry in butter, or add to soups. To see what other items to take foraging with you, read this. 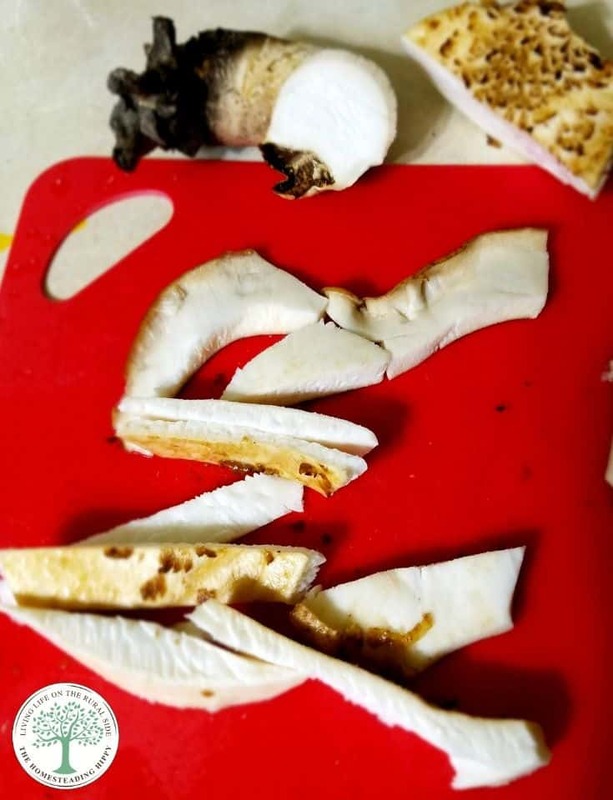 If you find you have more pheasant back mushrooms than you can eat in that short time frame, you can slice them into slices, place in a 200 degree oven for 6 hours and dehydrate. Grind into a powder when fully dry and use it to flavor soups, gravies, or even add to bread to extend your flour. You can also slice off the stem and sautee them whole to use in place of meat as a burger. 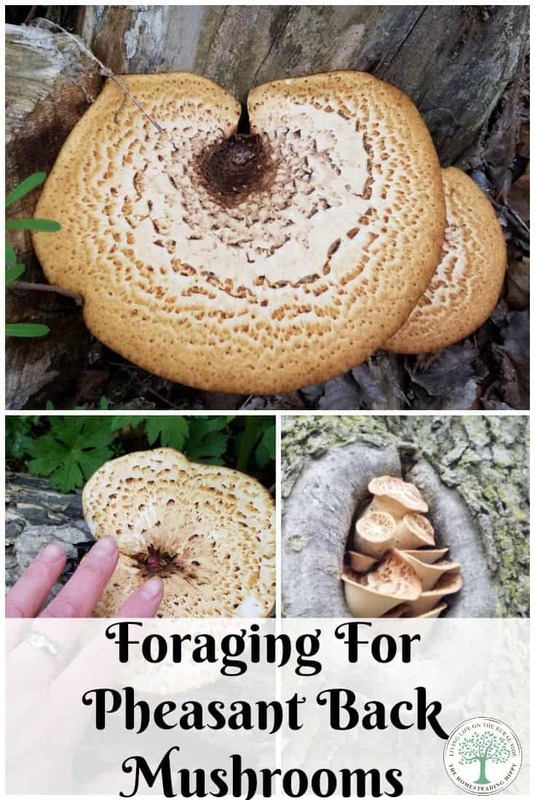 Have you ever gone foraging for pheasant back mushrooms? What was your favorite way to prepare them? Be sure to pin this for later! Hello do you seem to find pheasant backs and morels growing near each other?? I moved to North central WI from West central WI four years ago and I’m still having difficulty finding morels out here. Any recommendations for where to look with red granite soil?? Dead elms just don’t seem to produce them out here. Any ideas greatly appreciated!!!! I haven’t found them close together myself. Morels grow on the ground near ash trees, and pheasant backs grow IN or ON trees. I would try looking in a deeply wooded area first.